The Trion Humidifier Mister Mini Humidifier atomizes a superfine mist throughout your home that is absorbed into the air, increasing your home's relative humidity. The increased moisture in the air makes your home feel more comfortable at 68 degrees than it does at 73 degrees with a lower humidity level. Trion Humidifier humidifiers also decrease mites, fungus, viruses and bacteria in your home's air. But you won't just feel the difference -- you'll see it. You'll see it especially in your monthly energy bills, which will be much lower since you can keep your home at a cooler temperature in the winter and use less heat. Humidifiers can pay for themselves in a short amount of time! 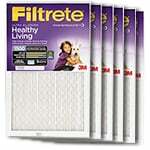 You'll also see it in the preservation of fine furniture and wood products throughout your home. When dry, wood tends to splinter, crack and shrink. 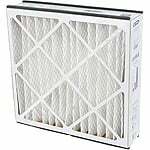 You can preserve your furniture, floors and cabinets by ensuring your home's air contains the proper moisture, and Trion misting humidifiers will automatically determine what the proper moisture is with a combination humidistat and thermostat. The humidistat measures and controls your home's relative humidity. 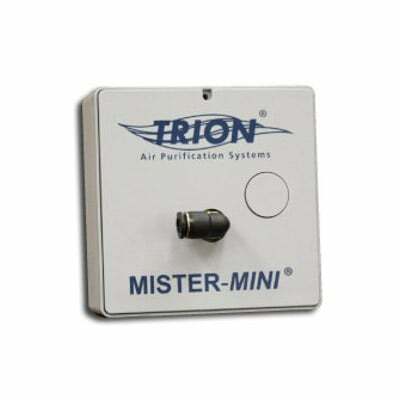 Dimensions: 6" x 6" x 2 3/4"
This is a genuine Trion humidifier known by part numbers 265000-001. 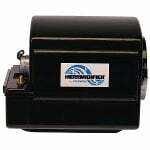 Replaces old part numbers 351367 and 351367-101.